More and more teens are capable of hacking a computer, tablet, mobile phone, email address or website. These young hackers can endanger the privacy of all your emails, passwords, banking, and much more of your data. Luckily there is a way to stay safe and anonymous on the internet. Dutch website Veiliginternetten.nl recently conducted a representative survey. This survey found out what the hacking experience of over a thousand 12- to 18-year-olds is. Most teens view hacking as a criminal activity, but are often a little curious too. It’s something new and exciting. Almost half of teens who’ve never hacked before would even like to do it sometime. The survey showed that 5% of teens have invaded a computer or hacked an email account before. And a shocking 14% have invaded a mobile phone before. Hacking school websites is also very interesting for teens. For example, they sometimes shut down the website of their school or hack the online administrative application that their school uses to save schedules and grades. Fighting hackers is one of the core businesses of a good VPN. 5 Euro VPN does the trick perfectly, and for the best price out there. Best pick! 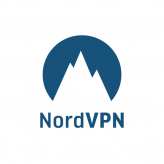 NordVPN is one of the biggest and most reliable VPN providers around. Always developing their product, and a great VPN to guard yourself from external threats like hackers. We can’t think of any reasons not to give Express VPN a try. Reliable, well secured and fast. Hacking is not always illegal. Some companies work with hackers to improve the security of their website. The ethical hackers get permission to break into the website and once they succeed, they report it to the owner of the company. Even if the hacker didn’t get permission from the company beforehand, but did report a leak once they hacked the website, the hacker would be allowed to create a program that others can use to break into this website. The hacker wouldn’t be held liable. Because the owner had been notified of the leak and has decided not to do anything about it. But far from all teens know when they are guilty of computer trespass. The chance that your computer, mobile phone, or website will be hacked without your knowing, has increased tremendously over the past ten years. And, naturally, with that grows the need to assure online security. Using a VPN (Virtual Private Network) is an excellent way to guarantee this online security. When you’re using a VPN, your computer, tablet, or mobile phone won’t contact the website you want to visit via your own IP-address anymore. But via that of the VPN-server. This way, hackers can’t trace your data, and you can surf, do online banking, or use a public Wi-Fi network safely.